Mercedes gives the GLS-Class a little flair. SUV's are growing increasingly popular in today's marketplace. The majority of car buyers are looking to own a crossover or SUV to add to their fleet since they can do so many different things so well. Mercedes knows this and has decided to add extra niche models to its SUV and crossover lineup. 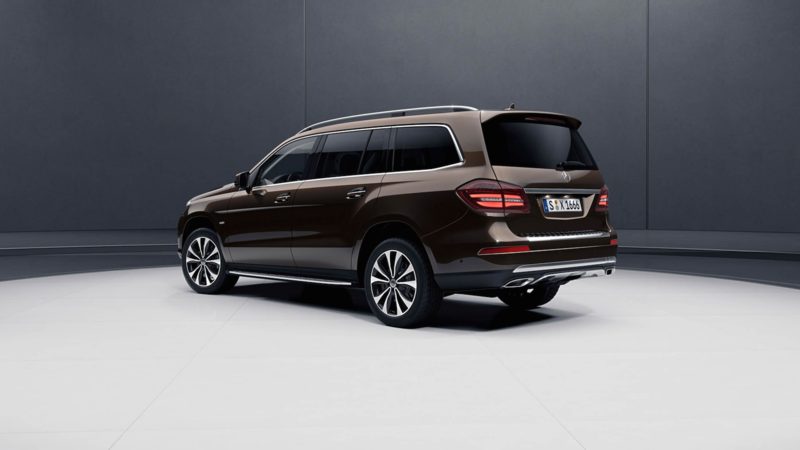 The GLS is the biggest of all the SUV's Mercedes has to offer and now, you can get it with a Grand Edition package....because you know, why not? >>Join the conversation about Grand Edition GLS right here in MBWorld. There are two engine options to go with this GLS Grand Edition. 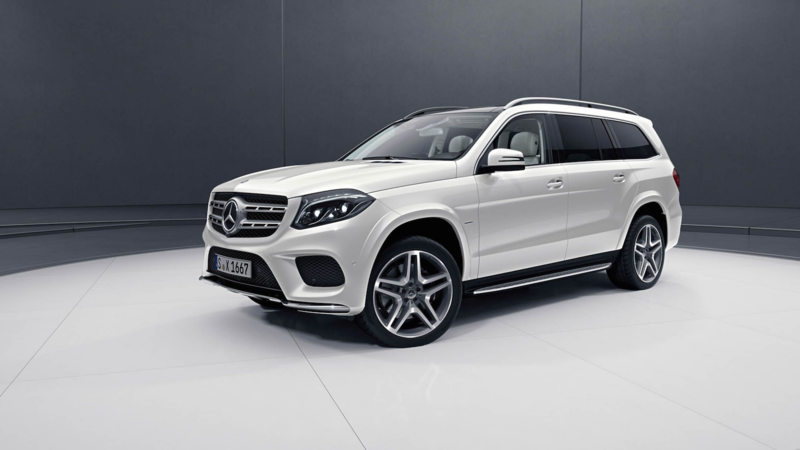 The first is a six-cylinder GLS450 with 4Matic which produces 362 horsepower. 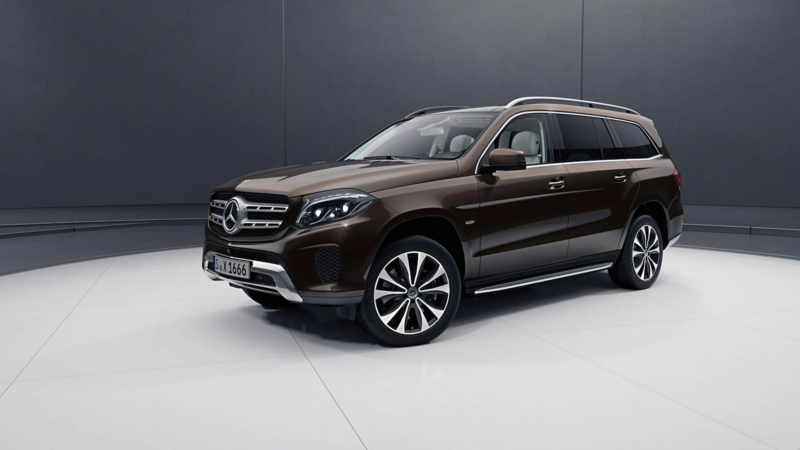 The other is the V-8 GLS550 (also in 4Matic) which makes 449 horsepower. Both engines are twin turbocharged and mated to a new nine-speed, smooth-shifting transmission. The average miles per gallon for the GLS450 are 17 city and 22 highway. To distinguish the Grand Edition from a normal GLS, Mercedes has added some sensible "bling" to this trim package. Gone are the ordinary LED headlamps and in are the new specially-designed LED lamps and bulbs--and a sure-fire way to scare any normal GLS driver when he/she looks into the rearview mirror. Both models get 10 spoke wheels. The GLS450 gets 20-inchers on all four corners while the GLS550 gets a massive set of 21's! If this isn't enough to make the SUV stand out, there is a "Grand Edition" placard on the front side fender, just so people don't have a social faux pas and call your GLS boring. The interior carries the classic Mercedes-Benz craftsmanship we all know and love. The center console is ergonomic; every button is where it should be and the infotainment is so easy that your grandmother can be the DJ. The Grand Edition has Mercedes' top-tier Designo leather package included. The leather is super soft to the touch and has a diamond stitch pattern. There are two marvelous shades of espresso and porcelain as interior options. Mercedes didn't just stop with special leather colors and softer seats... oh, no. 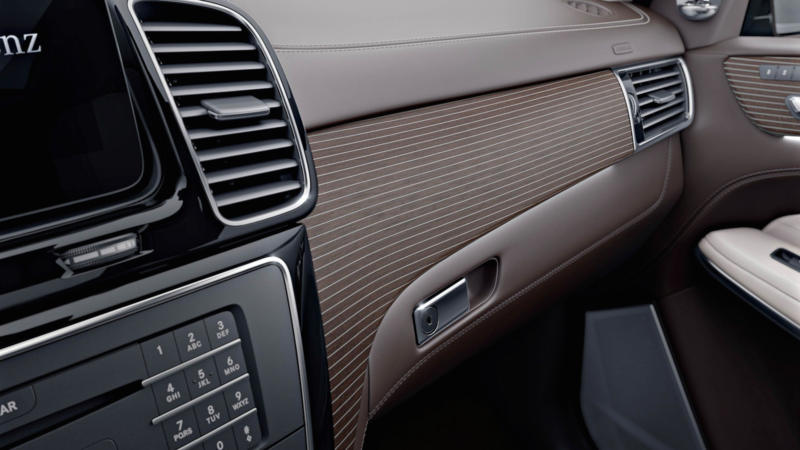 The dashboard is covered in exquisite leather and open-pore ash wood with a beautiful striped design (similar to Audis interior trim). Worried your handmade Italian shoes will be ruined on the floor mats? Well, fear not, because the Grand Edition has velour floor mats. Say goodbye to scuffed fancy shoes forever. This special edition trim for the GLS was debuted in Detroit some months back but pricing has not been revealed yet. 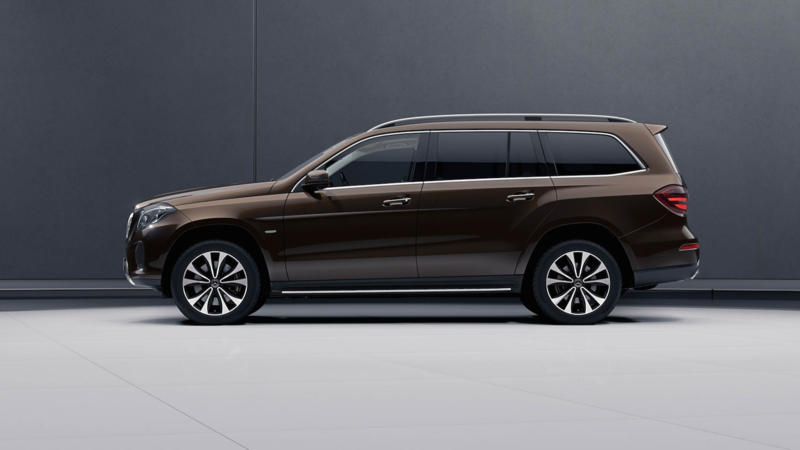 The "normal" GLS450 costs $70,545 while the GLS550 costs $95,945. Expect the Grand Edition to reflect its name in the evaluation when it is priced later this year.